Each living room is equipped with a TV with cable channels and a DVD player. Each apartment has an private bathroom featuring a shower and a hairdryer. Bedroom and bathroom linen are provided on site. 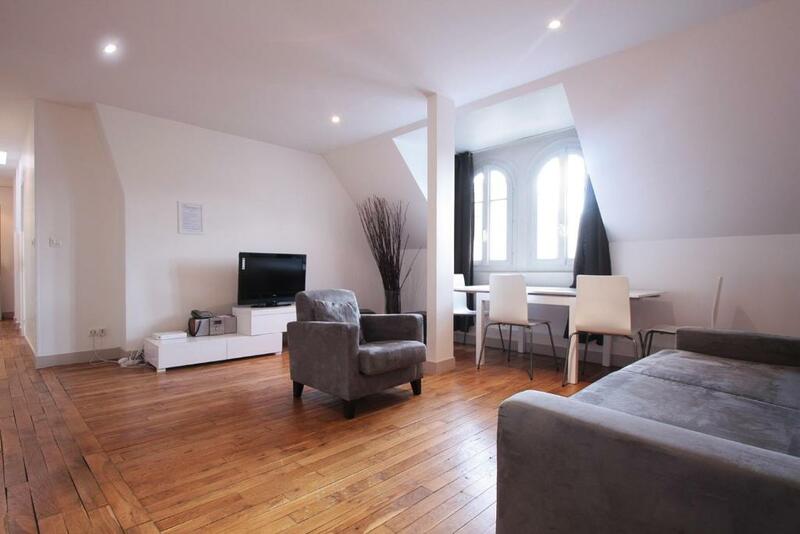 This property offers apartments and studios in the 8th, 16th and 17th districts of Paris. Some accommodations types are serviced by a elevator. 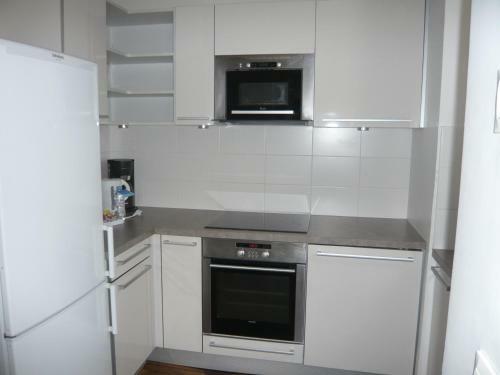 뀐 Located in the real heart of Paris, this property has an excellent location score of 8.3! When would you like to stay at Bridgestreet Champs-Elysées Apartments? Area Info – This neighborhood is a great choice for travelers interested in shopping, romance and food – Check location Great location - show map Guests loved walking around the neighborhood! House Rules Bridgestreet Champs-Elysées Apartments takes special requests – add in the next step! Bridgestreet Champs-Elysées Apartments accepts these cards and reserves the right to temporarily hold an amount prior to arrival. Should you arrive after midnight or on a weekend day, please come to the Bridgestreet office and call the hotline for instructions to enter the building and access the safety deposit box located on the right in which you may find the key and access instructions to your accommodations. Guests may store their luggage at the agency from 09:00 to 18:00 during weekdays. Please note that check-in and key collection take place at: 4-6 rue Leroux, Paris 75116. Please inform Bridgestreet Champs-Elysées Apartments of your expected arrival time in advance. You can use the Special Requests box when booking, or contact the property directly using the contact details in your confirmation. They have just one bathroom 🚽. The floor was really creaky. Couldn't walk quietly to get to toilet without waking others up. No heating in toilet which was quite cold. Toilet also stained. No lighting on 6th floor, so totally dark outside lift area and apartment. Only 2 lamps worked out of 5. Only 4 chairs, when apartment accommodates 6. We were a family of 5 and so one member had to sit separate. The apartment was better than we expected but a bit of TLC would do wonders for it, but for location, facilities & price, it would be very hard to beat! When the room cleaner left, he forgot to lock the door of the room. The next day, the cleaner again forgot to lock. Our items could be stolen while we were in the city. This hotel is insecure. Our apartments had 3 TVs, but none of them worked. There was a problem with the WiFi and the TV, but we don’t need them because we have walks. It could be better if they leave more toilet paper for the bathroom. The property doesn't comply with the payment terms announced by booking.com and since they have the credit card number they just charge it, right or wrong. Cleaning is available just for stays longer than a week and guests aren't advised when apartment will be cleaned. Agency staff isn't nice at all and aren't willing to help. Pictures don't correspond to reality. really inconvenient for guests arrive on weekendmorning. the address of my apartment changed two times makes it really confused.